Elisabeth was first married by proxy on October 22, 1570 to Charles IX of France. After a long celebration, she left Austria accompanied by high-ranking German nobles. Once in French territory, the roads were impassable thanks to the constant rain- this caused the decision that the wedding was to be celebrated in a small border town far from Paris. The King, curious about his future wife, dressed himself as a soldier and observed her incognito, and was very happy with what he saw. Who wouldn’t be? she is described as having perfect skin, perfect hair, and a perfect personality (which I’m guessing means “submissive.”) Alas… it was, unfortunately, a loveless marriage and Elisabeth busied herself with embroidery. 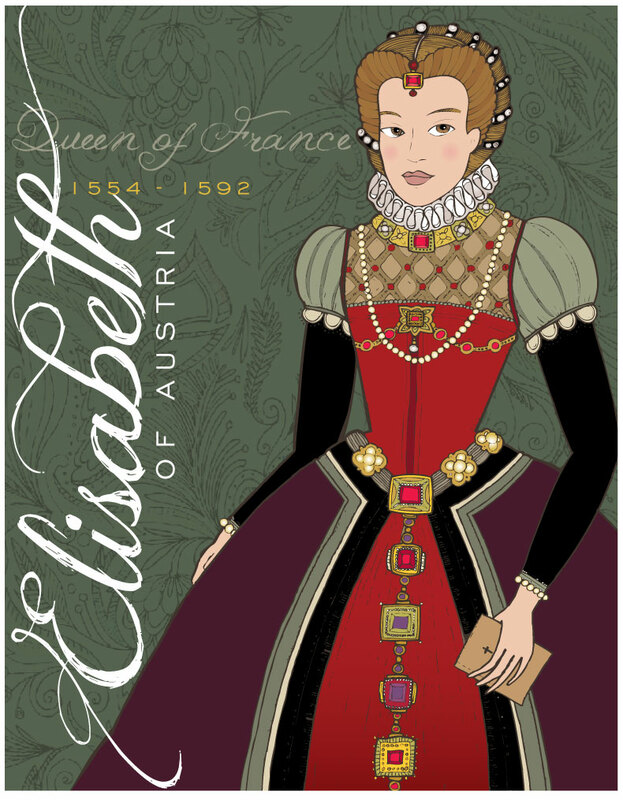 After the death of her husband in 1574, the “White Queen” went back to Vienna and built a college and a convent.